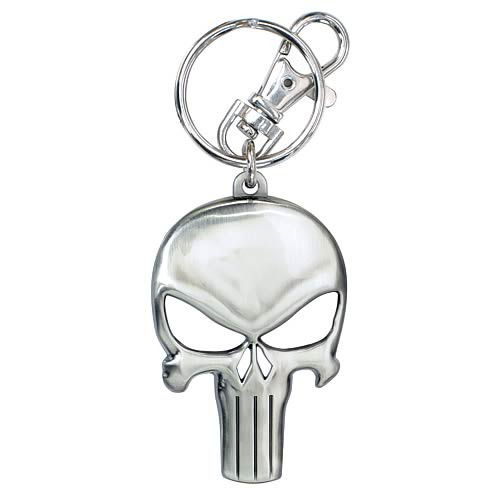 Throw away that boring old key chain you've been using by default and replace it with this sinister and awesome looking Punisher Logo Key Chain! If you're a Marvel, comic book, or Frank Castle fan and you have a habit of losing your keys then you couldn't find a better key chain match than this one. Not only does it boast clip-on capability so you can stick this guy in and on your backpack or carry case, but it prominently features one of the comic book world's best logos - the Punisher logo! No Punisher or Marvel Comics fan should be without it.